Home > Buildings and Street Scenes > Churches > All Saints', Marple. 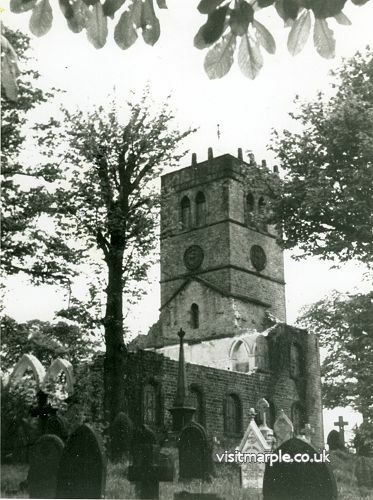 Partly demolished All Saints' Church in 1964, from Marple Local History Society Archives. Album name: Mark / All Saints', Marple.